Our Daft Dog Danny is about two boys who, with their dog Danny, go to visit Uncle Peter and his dog, Millie. But when they go to the beach together, things don’t go as smoothly as they had planned. Luckily, Toby had a very clever idea to make the beach fun again for everyone. 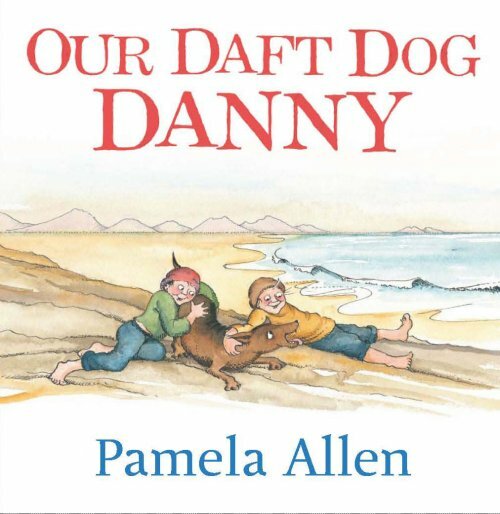 Our Daft Dog Danny has a true narrative structure, which makes it a great choice for children working on narrative retells. The story also allows children to use higher level semantic skills, such as explaining means to a goal and making predictions in the story. The language used in this book is strong and models a range of concepts and grammatical elements. It is particularly good for working on regular and irregular past tense and the subjective pronoun ‘we’. See below for a list of all the possible speech and language targets in this book.